1 Bed 1 Bath 896 Sq. ft. Welcome to Unit D4. 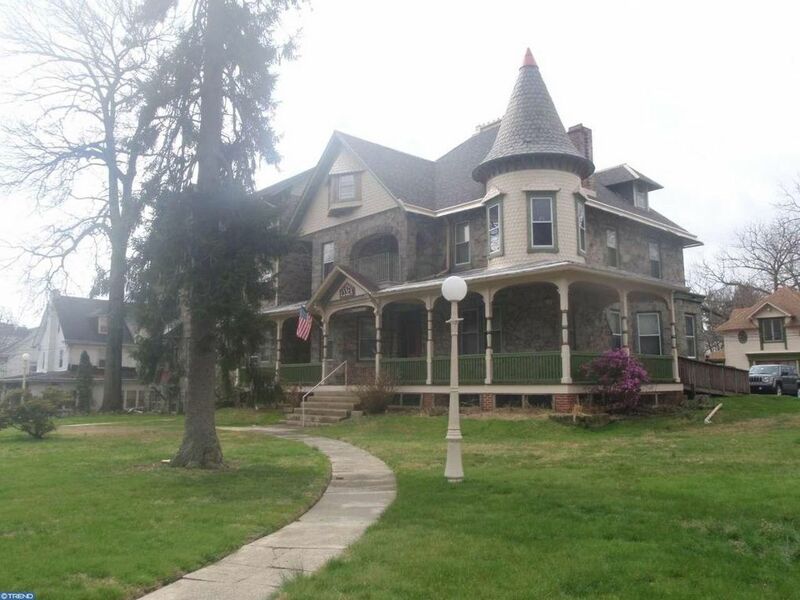 Bright & Airy 3rd floor corner unit in the Victorian Essex House with a wrap around porch. Beautiful well kept stone building in the heart of Lansdowne. You will feel like you are in the Penthouse Suite although there is no elevator. Move in condition, freshly painted, beautiful hardwood floors, this unit is perfect for the minimalist. Spacious kitchen with a gas range, stainless steel sink, refrigerator and microwave and closet. Living room with a new ceiling fan, Bedroom w/ceiling fan & large closet. Ceramic tiled white bathroom, o/e to the rear fire escape/entry. $371.00 condo fee includes Gas heating, hot water, sewer, water, common maintenance inside and outside, snow removal, trash, landscaping & common insurance. Convenient location, within walking distance to the train for an easy commute into Center City. Buyer pays 2 month capital improvement fee at settlement ($742.00) and a $100.00 move in fee. Pets (cat or dog) less than 50lbs are permitted. Condo docs available for review. There is a laundry area on the ground level with an exterior entry. There is an assigned parking spot #5 in the rear parking lot. There are 20 units in the Essex House. 1 beds 1 Bath 896 Sq. ft.